It is Saturday afternoon and I have my own slice of heaven in that there are tons of college football games still going on today. My favorite team sadly got destroyed this morning but there are two more games today and tonight that will hopefully go a bit better. I’m a huge fan of the pageantry of college football, the bands playing at halftime, the student section going crazy when their team scores and those rivalries that go back generations. Ohio State vs Michigan, Alabama vs. Auburn, Georgia vs. Florida, and here on the West Coast Cal vs Stanford (though I’m a bit partial to those from the SEC and Big 10). The only bad thing about a full day of college football coming to an end is the fact that the next day is a full day of NFL football! Kind of like college football my teams are often bottom dwellers, and I try to have fun no matter what the score. It helps when we are enjoying a game with great friends either at a bar, their place or ours. When we entertain guests for football on Saturdays, Sundays or both, I personally have a great time (and a little bit of stress) deciding on the appetizers, meals and snacks for everyone. As for snacks, most people will default to grab chips and dip, pretzels cookies and popcorn. These are staples and not bad, but the best reaction I get from kids and adults are when I give them something different. One that was best received was when I served up Klondike bars to a few families a couple of weeks ago. I couldn’t decide if the best part was their reaction or the fact that they took zero minutes of my time to prepare. Not at all a bad thing with my two kids and three others running around like barbarians! I’ve grown up with Klondike bars. In my house they were one of those ‘special reward’ treats that we would get when we did something great. That action could be doing well on a test, knocking out a lot of household chores, performing well at the big game (our standards were low for that one, not the most athletic household! ), or really anything that warranted a job well done goodie. Klondike’s set themselves apart, I can close my eyes and instantly picture and almost taste biting into that crisp shell of chocolate, with the creamy ice cream on the inside.The Klondike brand offers 12 varieties of classic chocolatey coated and ice cream loaded stickless bars, which are available nationwide. They come in the classic Original (still one of my favorites and always will be), as well as 11 other cravable tastes: Heath, OREO, Dark Chocolate and Rocky Road, Caramel Pretzel, REESE’S, Mint Chocolate Chip, Krunch, Double Chocolate, Neapolitan and the new Cookie Dough Swirl. How’s that for an arsenal! 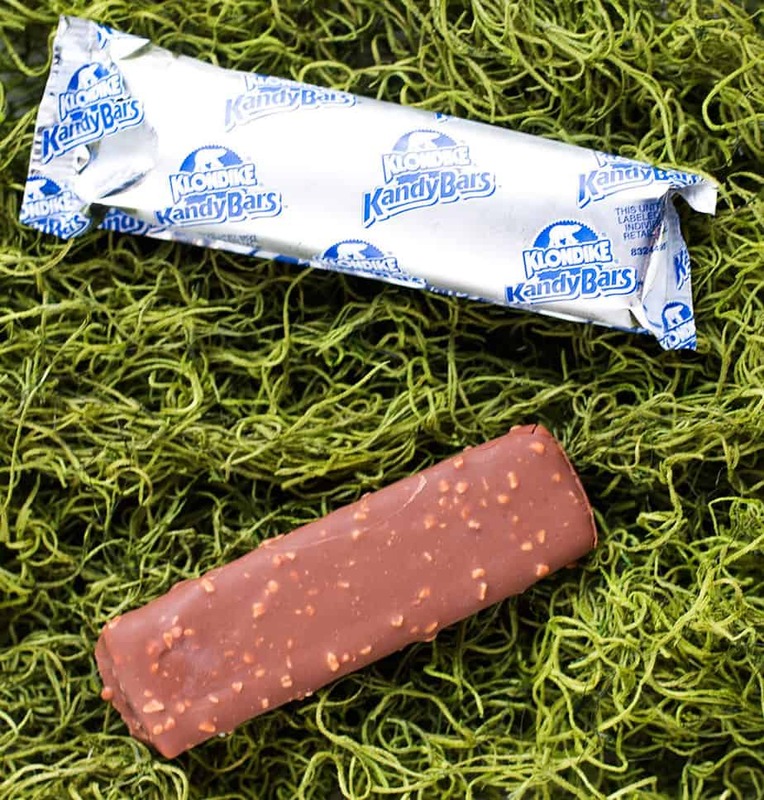 Not all treats that I liked when I was younger are still enjoyable for me today, but there’s just something about a cool ice-cream treat that I haven’t grown out of. 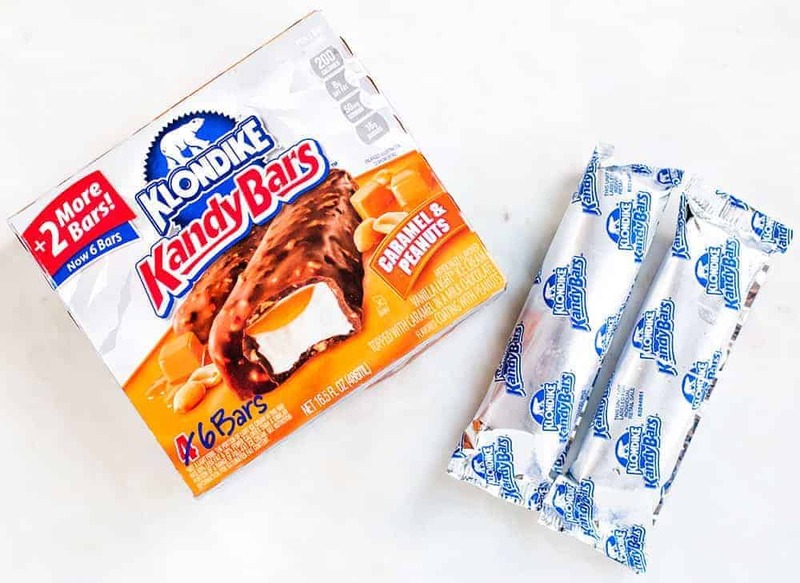 You may also know that in 2014 Klondike® Kandy Bars were launched as the perfect combination of that Klondike shell and creamy ice cream with a candy bar. 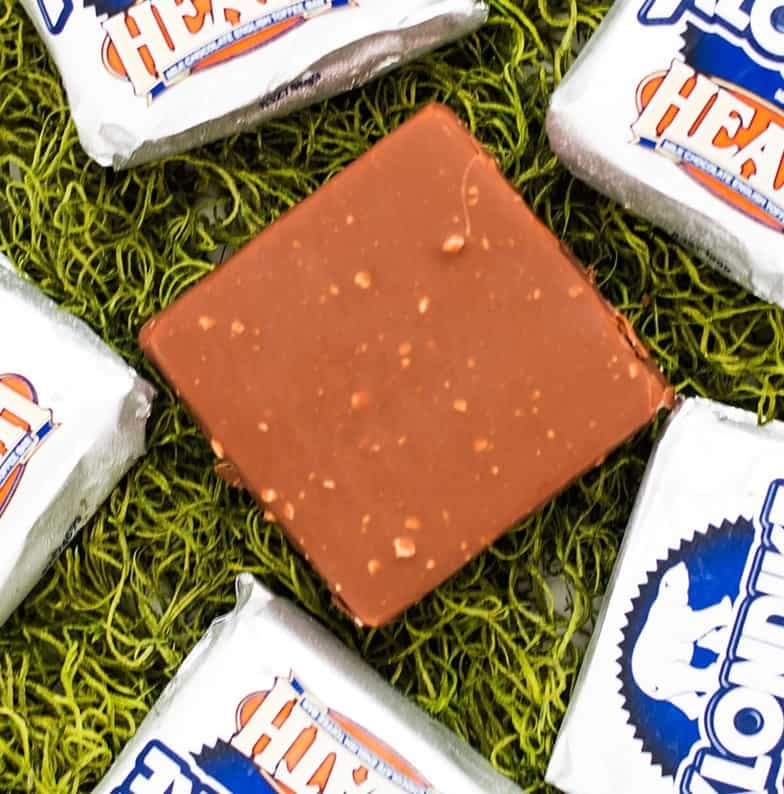 This is a homerun hit with Mint Fudge Cookie, as well as Caramel & Peanuts, Fudge Krunch, and Cookies & Cream. Just look at how tempting those look from the box, then imagine how fast they’d go at a party. Oh yes. These are available nationwide and now come in a package of 6 bars. Stickhouse Gelato – Italian. Pure. Beautiful. My husband would be ALL Over the Heath ones. He always gets heathbar crumbles on his ice cream when we go out for it. I could use a bar right about now! I so love the flavors of Klondike. Especially the Reese’s. I think it would make an excellent dessert during a party or a gathering. Klondike is delicious. I keep these things in the freezer at all times. They’re great for football games or a Monday. LOVE Klondike bars I don’t have any right now, but where I live ice cream still sounds good. It is defiantly something I should buy again soon! Love all the different variety they have. Mmmm Mint chocolate chip and HEATH OMG I love heath bars so I have to try this! I would sit down and eat the entire box. Those sound sooo good. I love Klondike bars. I love Klondik bars. I never realized that there was a mint chip one! OMG! I want it now! I love the Heath Klondike bars they are my absolute favorite ice cream snack! I would do anything for a Klondike bar, lol! I love them! However, I had no idea that there were so many different flavours – we’ve always had just vanilla. Now I’ll keep my eye open to see if I can find the other flavours. I would love to try them! I love klondike! It is one of my son’s favorite treat as well. Your little ones are so cute! Ahh mint chocolate chip is my absolute fave! I need to try those ones out. I’ll be on the lookout! I love Klondike bars. 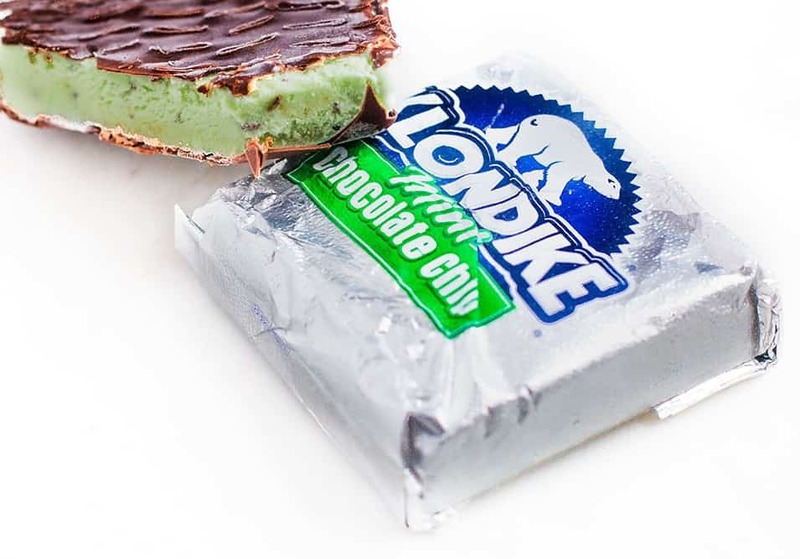 I would do just about anything for a Klondike bar and I love mint chocolate chip. Now I have the song in my head. What would you do for a Klondike. The mint chocolate chip one looks amazing. This is why that theme song exists. Wow mint chocolate. It looks very delicious. I want to try Klondike chocolate bars. I wonder if they exist in Philippine market. I love a good Klondike bar!! I want to try all of the new flavors they have! The heath bars are my favorite. I have not tried the Kandy bars ones though. I will have to get on that! Thanks for sharing! Oh, I would love to have a bar right now. I haven’t had a Klondike before. I hope I find them here. Love these bars but have to be careful how I indulge because was you start, it’s hard to stop. Yummy! We always stock up on grab and go ice creams but never considered these! My kids would indulge for sure! I love Klondike bars. The chocolate mint is my favorite. I can eat them all year long. Love, Love Klondike! My favorite is the heath! I stock up every-time there is a sale! Oh wow, that looks so yummy. I could use a chocolate mint bar right now. I remember my parents taking us to get a Klondike bar as kids. Great memories. Love Klondike bars; my grandfather always had a stash in his freezer growing up, so we always ate a ton! We love Klondike bars in our family! Chocolate chip is one of my favorites. I’d like to try the caramel flavored candy bars. Something about the mixture of ice cream and caramel does it for me. I’d definitely love to try out the caramel and peanuts bar! It sounds so delicious. I wouldn’t mind one of those now. Haven’t tried them before but they look delicious. Growing up my Mother only ate Klondike bars. 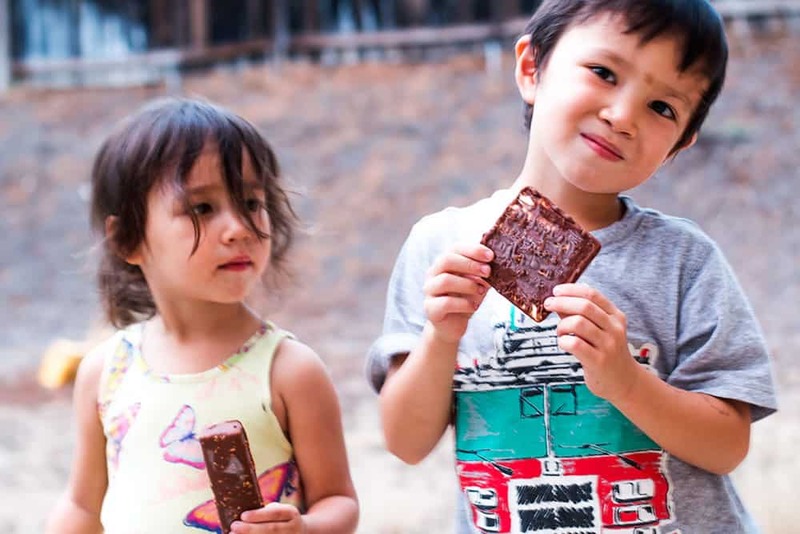 They are a permanent memory from my childhood, she was so particular about her chocolate. Oh those flavors are tempting. I haven’t had a Klondike in awhile but I love them. I just.love. love.love Klondike bars. They taste so good. Klondike bars are so yummy! I haven’t had one in ages though. I will have to see if these ones are in my store here. I so love Klondike bars. All of the flavors are so delicious. Believe it or not, I have actually never had a Klondike bar before – crazy, eh?! These look pretty good, though. Mmmm Mint chocolate chip is my favorite! I need to get some to try!